iPhone won't turn on, won't charge. Is it dead? for every 5 seconds the same image is shown and then goes off. Connected it for about 5-6 hours. For whole time same image is shown for every 5 seconds and then goes off. Note: Its not showing green charging symbol but, it is showing the image link provided above "Connect to charging" symbol. I'am too far from apple care. Is there any solution? most likely = failed dock connector/charge port. This part is exposed to the elements, and also susceptible to mechanical damage from plugging/unplugging. Troubleshooting would start here, and also with a new battery since they are inexpensive. If that doesn't solve then we can look deeper. I have a similar problem, I have tried to change the dock charge port and the battery but it made no difference, trying to power the phone and it makes no sounds or no vibrations at all. Any ideas how I could test the motherboard without a different phone? Thanks! 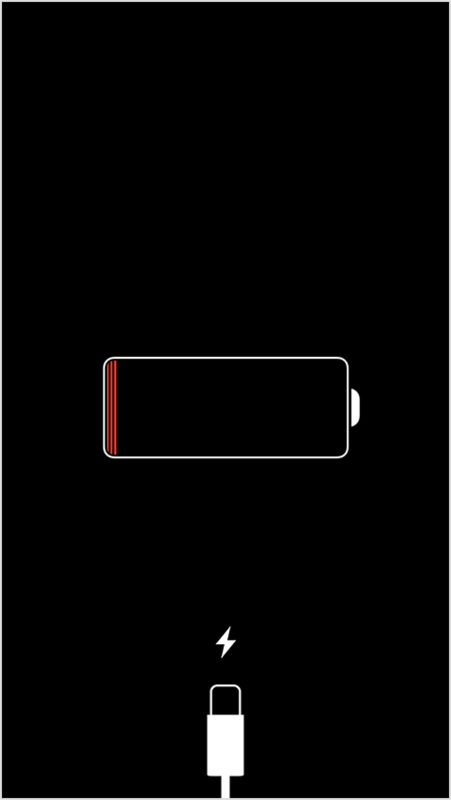 Hello Alex, does "Connect to charging" symbol shows for you for every 5 seconds when connected your iphone to power cord? I'm not sure the issue you are experiencing is the same as the original post er here. Is your phone recognized by iTunes? (This will help us troubleshoot a true no power issue from just a no backlight issue). If not, then does your phone respond when you put in a new battery? If also not then it is a true no power issue. Your next step would be to check for continuity across the battery connector---outermost pins. If you hear a beep - continuity-- then you know you have a full short in the phone and this is why it will not power on. Give us some more details and we can help you. Thanks guys then I assume it's not that similar to the OP's original question after all, I'll open a new thread. It worked good just before switching off. How would it got spoiled all of a sudden?